Solid perfume is one of my new favorite beauty discoveries. I bought a small one a while ago for my green beauty basket and loved how it smelled. Since I gave that one away, I thought it would be fun to make my own and play around with different scents. And you can keep it in your purse! Because who remembers to put on perfume in the morning? And if you do, the smell is gone in no time. Funny story, my perfume bottles have become toys for the kids – they LOVE to douse themselves while playing dress up. You can smell them coming a mile away. 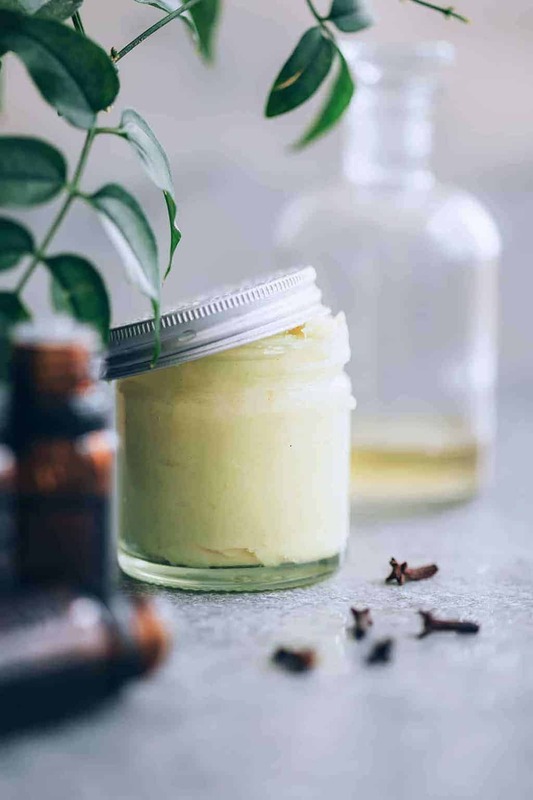 To make your own solid perfume, first combine a small amount (about 2 teaspoons) of almond oil with your essential oils. My favorites scent combinations were orange with a bit of clove and peppermint with lavender. Add just a drop or two of each essential oil at a time until you have a scent you like. Then melt a small chunk of beeswax (you can get small pieces at most health food stores) in a small glass dish in the microwave. Add the oil mixture and stir to combine. Then pour into a small container and let it sit to harden. Bonus! Add a small amount of shimmery powder or eye shadow to give your perfume a bit of sparkle. Have you ever made solid perfume? What scents do you love? Can sell it expiry 1 year? Hi! Definetly I’ll try this one. But, how long this perfume will stay good? Nevere tried solid perfume before. It would be so much fun. Anyway have to give this DIY solid soap a try. What amounts of beeswax do you use? And instead of using almond oil, are you able to use coconut oil? Hi, thank you for sharing the recipe and tips. How long this perfume will stay good? Will it turns bad? oh, I love solid perfume, and I have a lot of different ways to take it with me. also I’ve make some locket charms with it. my favourite essential oils are lavender, orange, vanilla, jasmine and sandal wood. and I experiment with creating different mixes using reciepes of famous fragrances. this month I’ve been working with Tom Ford fragrance “Tuscan Leather”. you have the same name as me. Will this turn to liquid in warm climates? I want to try this, but I live in FL and I don’t want a mess. Can you use coconut oil instead of the almond oil? 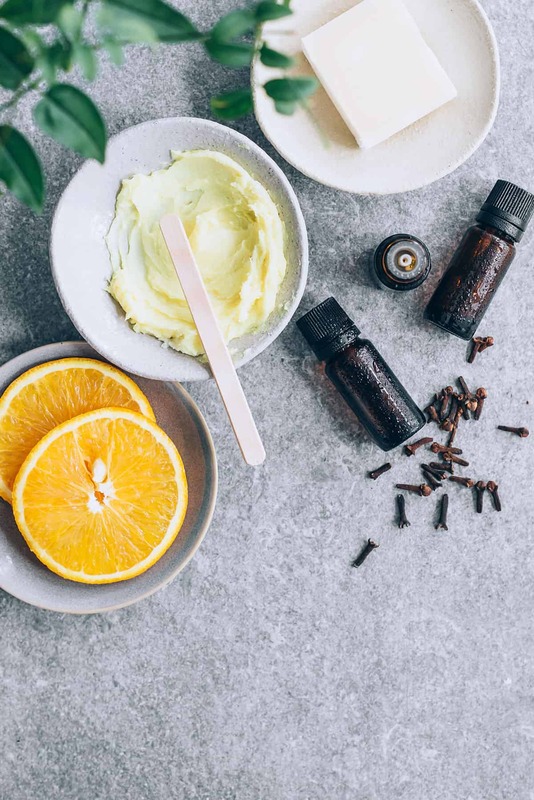 I have been researching and reading about making natural products because I want to eliminate as many chemical products in my home as possible. I’m looking forward to making a vanilla clove body oil, a recipe I found online. Hi, thanks for the tutorial but can u make a solid perfume out of bodysprays you have as well? Avon sold solid perfume many years ago but stopped when the trend was no longer popular. Thanks to you, I can make my own! Bless you!! You can also purchase popular designer perfume oils from haywardenterprises.com and add them to your beeswax. Avon sold solid perfume several years ago but stopped when trend was no longer popular. Thanks to you I can make my own! Bless you! superb ideas…i would definately like to try it…. Where did you get the little container?? They came from Whole Foods, in the body care section. Hope that helps! instead of essence can we put our own perfume ???? I bet you could! The scent might not be as strong – or last as long – but you could try it! I have recently bought some mango butter and imagine that it would make great perfume-ish moisture kick! Can you make this with coconut oil instead of beeswax I wonder? the only thing about coconut oil is that it doesn’t stay solid at warmer temps – so I’m afraid it might liquify if it heats up! I am almost sure that it won’t turn liquid unless it’s getting hotter than 50°C/125 F. Just add a bit more beeswax and it should work out. What a fun idea! I’ve never even owned solid perfume.